The standard in “cloud” based cabinetry software. Tailored Flat Packs Direct is completely free online cabinetry software designed specifically for quoting, ordering and storing your cabinetry projects including flat pack kitchens, bathrooms and laundries. Tailored Flat Packs Direct doesn’t want the price of software to be detrimental to you improving your cabinetry business. 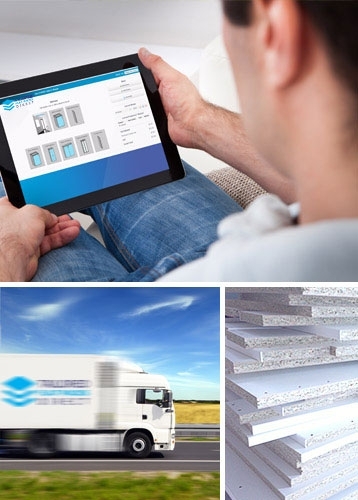 Instead of charging you to be a Tailored Flat Packs Direct member, we want to help set you up as quickly as possible, so you can see the great benefits behind our amazing cabinet software. Tailored Flat Packs Direct encourages you to use our marvelous cabinet software by eliminating monthly fees, project fees and administration costs, Tailored Flat Packs Direct gives you the ability to use our software for every project, big or small. Take the frustration out of quoting by using Tailored Flat Packs Direct intelligent quoting system. Enter your project details and receive approved quotes in real time. Rest assured knowing your quote is accurate to the exact measurement, no hidden material costs or labour fees. Send your cabinetry projects orders with one click then let Tailored Flat Packs Direct’s software handle all the rest. Once you job has been sent, your order is already in queue for production. Track your cabinetry job with updates and notifications on when your project on its way to its destination, flat packed and ready to install. Our team of support staff are professionally trained and focused on delivering a high level of customer service. Tailored Flat Packs Direct support is available during normal business hours via phone and email. We also have a thorough list of Q&As section that may cover your need. Since there are no setup costs, and since you have nothing to lose by giving Tailored Flat Packs Direct a try, Sign up today for your free account and experience why Australian builders and cabinet makers are raving about our Tailored Flat Packs Direct cabinet software.